Lesbian couple at Le Monocle, Paris, 1932. During the 1920s Paris had gained a reputation for the variety of its nighttime pleasures and for its free and easy attitude toward life in general. Within this climate of relative tolerance many gay and lesbian nightclubs opened and flourished. 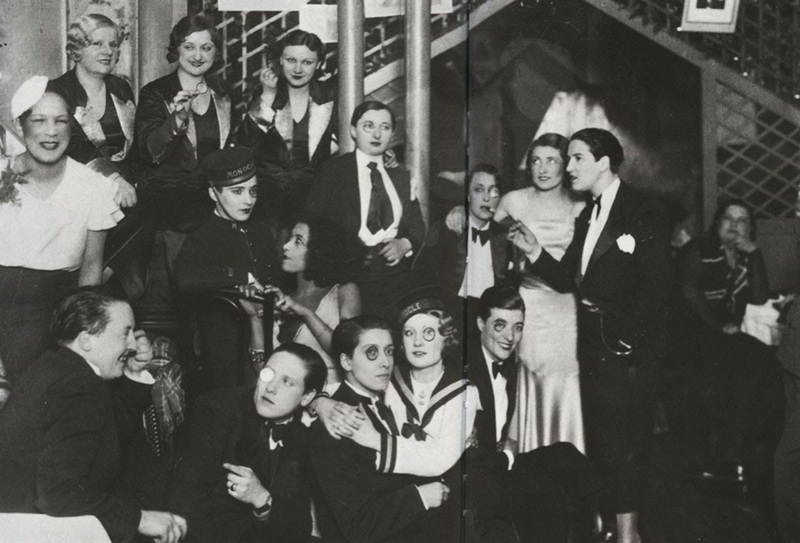 Among these was Le Monocle, which is credited with being one of the first, and certainly the most famous of lesbian nightclubs. 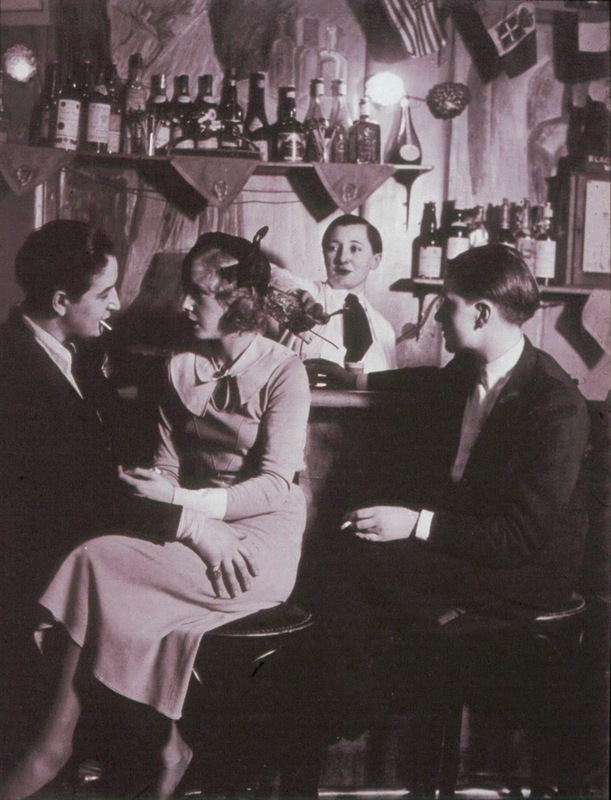 It was opened by Lulu de Montparnasse in the Montmartre area, which at that time was the main gathering place for Parisian lesbians. 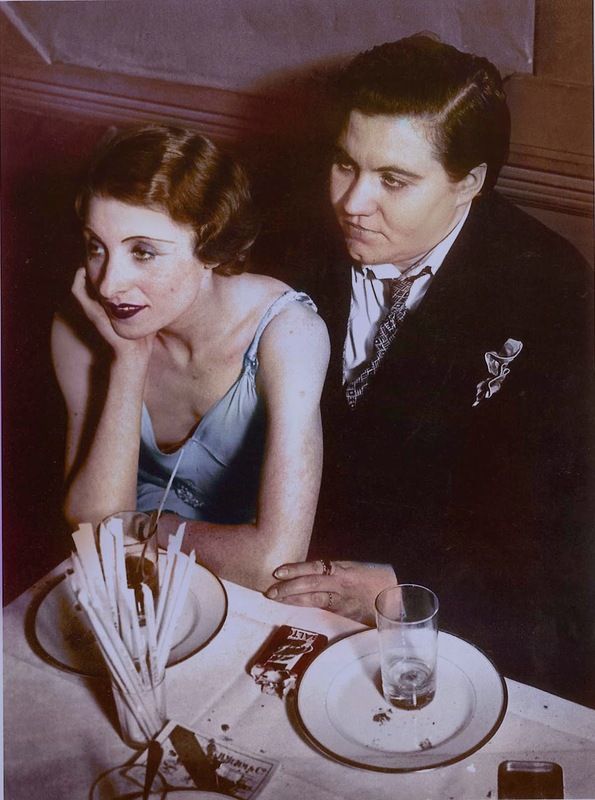 As historian Florence Tamagne explains, lesbians during that time were often found sitting together at Montmartre’s “outdoor cafes or dancing at the Moulin Rouge”. As for Le Monocle, “All the women there dressed as men, in Tuxedos, and wore their hair in a bob”. Why the name Le Monocle? The name Le Monocle derived from a fad at the time where women who identified as lesbian would sport a monocle to indicate sexual preference. The writer Colette once observed the fad by describing women in the area as “often affecting a monocle and a white carnation in the buttonhole”. A monocle was something of a lesbian “uniform” in those days. Le Monocle stayed open from the 1920s thru early 1940s. After the Nazi occupation of France, the nightclub was closed and the homosexuals were persecuted. Years later the club was reopened by a new owner, but the golden age of Le Monocle had ended. 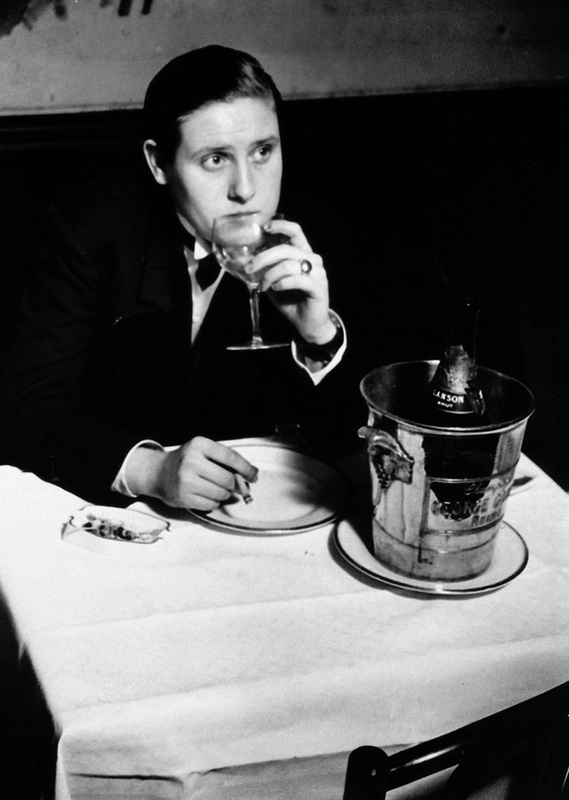 Young invert at Le Monocle, 1932. Colored version of the first photo. The person on the first photo (right) is Violette Morris, a French weightlifting champion who had a double mastectomy. At the end of December 1935, Morris was recruited by the Sicherheitsdienst (English: Security Service), a wing of the infamous SS of Nazi Germany. She gave Germany partial plans of the Maginot Line, detailed plans of strategic points within the city of Paris, and schematics of the French army’s main tank, the Somua S35. Her collaboration continued during France occupation. For these activities, Morris was sentenced to death in absentia and was killed along a country road by members of a French resistance group on 26 April 1944, at the age of 51. Her body, riddled with bullets, was never claimed, and was buried in a communal grave. (Photo credit: Cleveland Museum of Art. Photographer: Georges Brassai). Read Lovers at the Chameleon Club, Paris 1932 by Francine Prose for the fictional novel about this subject. I've seen that photograph for the second time, the Le Monocle Club should be reopened in Paris, France. Wondering if the woman who had a double mastectomy had it done because of just not wanting breasts or if she had cancer. Anyone know? Fascinating lives. Wish there was something like that now, say in New York, Vancouver (where I live‚, any major city! I read one of her biographies some time ago. It said that Violette Norris was a high level athlete, but was encumbered with very generous breasts. She decided to have them removed in order to enhance her performances. She had her breast removed to fit in race cars better or so she said but it's believed she was trans not just lesbian. "It was opened by Lulu de Montparnasse in the Montmartre area". Actually "Le Monocle" was in the Montparnasse area (Boulevard Edgar Quinet). Lulu was known as "Lulu de Montmartre" even if she was from Lyon. She (enough quickly) sold Le Monocle to create a new club in Pigalle area :"La Roulotte". She then created an other bar/club/cabaret in the same street. Some witnesses said these businesses was flourishing but not as class as Le Monocle. Some other say Lulu was managing part of the prostitutes in the Rue Pigalle. Probably partly true if you consider the "corsican character" she had, at least in her bars.